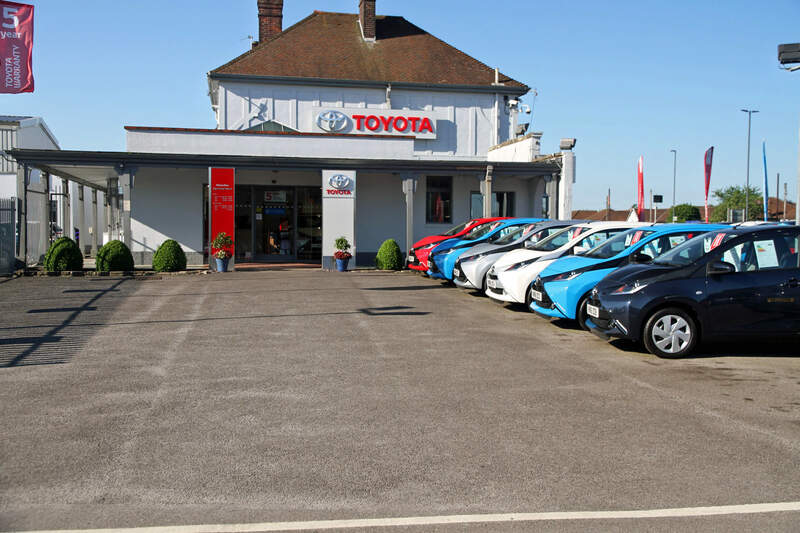 Here at Motorline Toyota Bristol North we follow the Toyota values of continuous improvement, going to the source of an issue to resolve it and complete customer satisfaction. We do this by using Toyota's 'Better Way', having an idea of a better life and striving for peace of mind, something reflected by our 5 year warranty. We believe that there is a trust between the hearts of our customers and our cars. 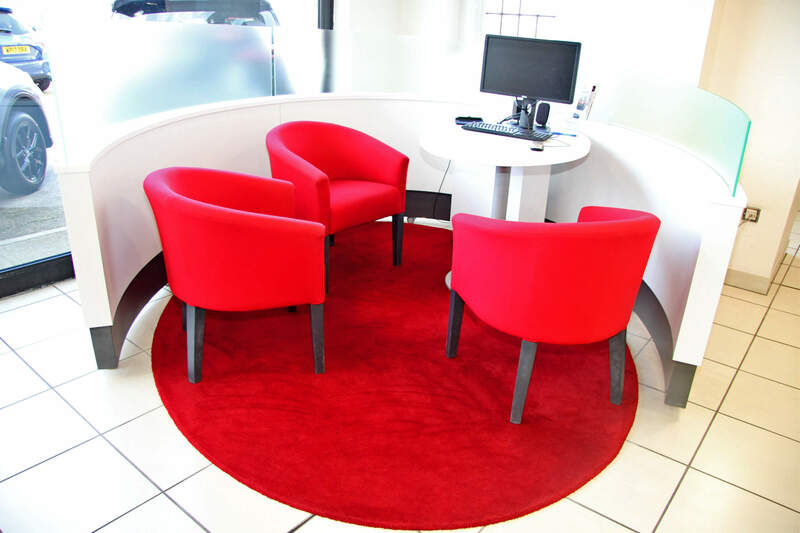 Motorline started back in 1972 in Canterbury coming to Bristol in 2013, Motorline offers exceptional levels of customer service and complete aftersales services including routine servicing, MOT, repairs, parts and warranty requirements. Our highly trained and skilled technicians use only manufacturer approved genuine parts. Joined: Sept 2003 Paul started at Toyota Bristol North as a Relief Accountant back in 2003, and was delighted to return to the business as Centre Manager on April 1st 2016. As a proud Welshman, Paul is stereo typically passionate about Welsh Rugby and unfortunately for us is a firm believer that all Welsh people can sing! Paul's career highlight to date was collecting the 2017 Motorline Group Most Improved Dealership Award on behalf of the team at Toyota Bristol North in February 2018. Joined us: April 2015 Anne has been with us since 2015 and on top of keeping the finances in check at Bristol North, Anne also looks after our sister centre at Bristol South. Anne's passion is dancing, with her particular favourite being Tap, although she can also be found being elegant in Ballet or shaking her stuff in Jazz. Joined us: Jan 2017 Sing joined us back in 2017 with 10 years experience in the motor industry and a drive to progress. Sing's positive attitude and welcoming smile is guaranteed to make you feel at ease as he answer any questions you have. Sing's passions outside work are spending time with his son and anything food related! Joined: July 2017 Sam bring 4 years of sales experience with him with a strong passion for the automotive world. His positive personality is infectious not only to staff but all customers that walk through our doors. Outside of work Sam likes to attend Track days and spend time with his new born son. Joined December 2018 Damien is our newest member to the Sales team, although has over 4 years of experience within the motor industry. His smile can light up the room, so Damien instantly makes you feel at ease. He works hard to deliver great customer service, and is very patient so is happy to spend as much time with you as you feel you need in order to find you the right car. Outside of work Damien spends most of his time looking after his two children, but loves to keep active regularly Skiing, Skim boarding and doing anything adventurous. Joined us: July 2018 Jexton is a man with a passion for delivering excellent customer service regardless of your needs. His bubbly personality will always give you a memorable experience. Jexton's passion outside of work are playing football and anything car related! Joined us: May 2005 No job is too big for this experienced workshop controller and his skilled team of technicians, he knows what it takes to ensure your vehicle leaves in showroom condition and he also knows how important your car is to you. If it's a new car you're buying from us it is the job of Neil and his expert team to ensure that the car is ready for you to collect running safety checks and applying the finishing touches that make your car unique. Joined us: September 2017 Ella is the face of the business here at Bristol North. Her outgoing and friendly personality will come across regardless if she deals with you over the phone or face to face. Previously working for the Zoo, Ella has experience with dealing with people of all ages. She has a passion for fitness and Japanese cars. Joined us: October 2013 Andy has over 20 years of experience and his knowledge is endless. 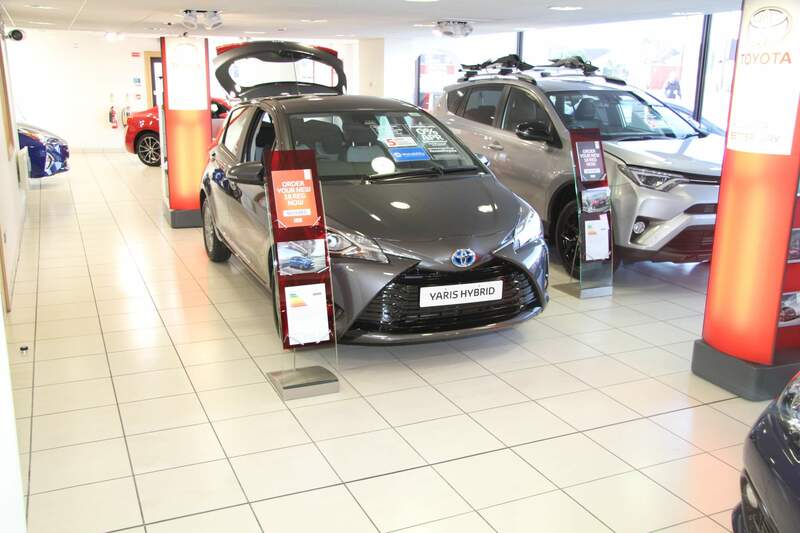 He is our Motability specialist and through the years has used his experience to become an encyclopaedia of Toyota with a passion to give you the best experience. Andy is guaranteed to help you find your new car and have fun doing it. Andy knows how important a car is to you, he understands the wants and needs of our customers and works beyond the call of duty to make sure that your car caters for your needs. Joined us: March 2015 Chris has been an asset to the team from day one! With a wealth of sales experience, he is a guy that has an impeccable attention to detail and is sure to pick apart what you're looking for to ensure that you go home with the right car for you. Joined us: September 2017 With years of experience working in the motor industry Adam brings knowledge and understanding to meet your needs. With his passion to meet customers expectations Adam is a credit to our team. In his spare time Adam trains karate and enjoys watching the British Touring Car Championship. Joined us: Dec 2015 Tyman has a wealth of expertise when it comes to working with people to get results previously working as assistant choreographer for BBC's hit show Strictly Come Dancing. Tyman's relaxed attitude and welcoming tone will help you feel at home. His smile and laugh is guaranteed to make you feel at ease as he helps you find the car for you. Joined us: August 2016 Since the day he started Mike has been an asset within the sales team. His enthusiastic personality makes every aspect of purchasing a new car a memorable experience. Joined us: February 2014 If you have any questions, whether it's booking your car for a service or simply needing some friendly advice Brenda is on hand to help you get to the bottom of it all. 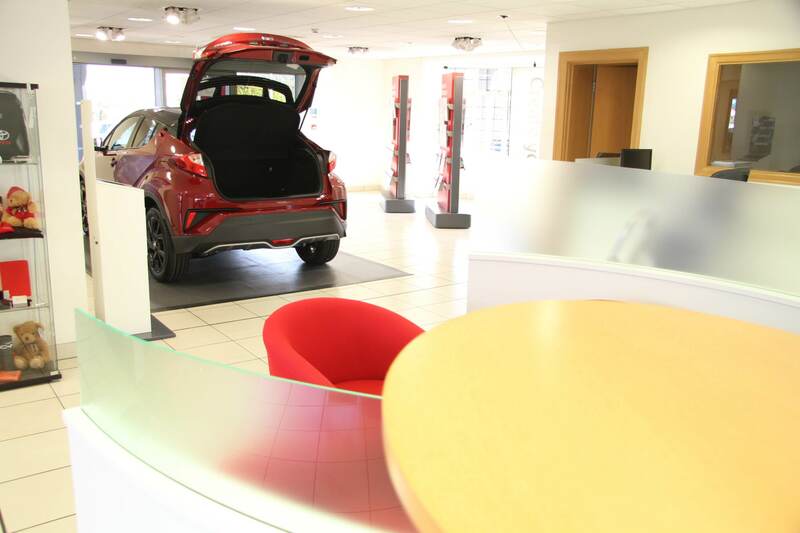 With her passion for customer satisfaction and dedication to making sure we find the right outcome Brenda is a credit to the team here and continues to maintain the relationship between us here at Motorline Toyota Bristol North and you, the customer. Joined us: February 2001 Samantha has seen many customers walk in and out of the doors. She is a true asset to the team bringing her friendly and welcoming personality to life on a day to day basis. She not only works hard to ensure your vehicle gets sorted, she is also here to cater for you as you wait, whether it's a cup of tea, a biscuit or just some lighthearted conversation Samantha will make sure your visit is as pleasant as possible. Joined us: May 2018 With just over two years of experience in the Motor Trade, but in no way limited in his knowledge of Toyota or the automotive industry. James is a fresh face to the trade and the youngest Sales Executive in the team. Excellent customer service is always top on his agenda, and he’ll always strive to make sure you get the perfect car for you and a first class experience. His passions lie in both cars, and music; through owning a 1998 Toyota MR2 , being a guitarist in his band, and aspiring to become a DJ. 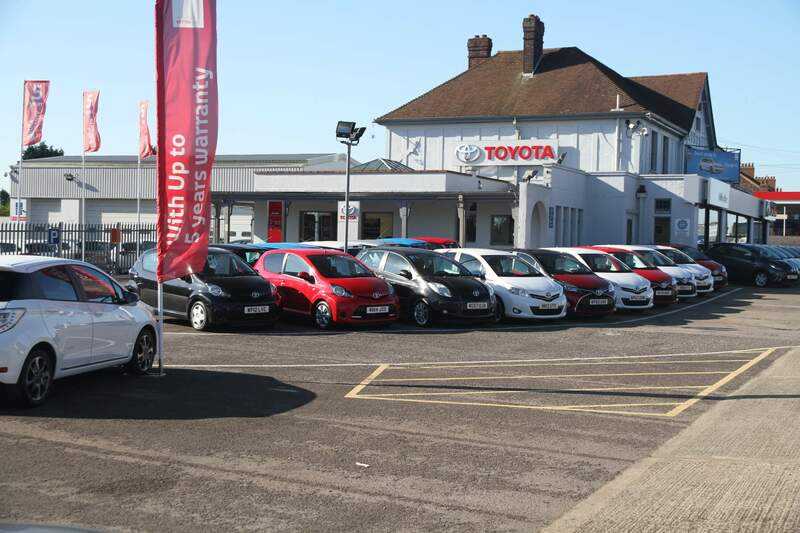 Our vehicles are competitively priced and come with the added reassurance and benefits of being sold through the Toyota Plus approved used car programme. The Toyota AYGO Hatchback is available for only £159 per month, with a £159 deposit, and 0% APR Representative*, only for a limited time at Motorline Toyota. This includes a £625 Customer Saving, so why not take advantage today? 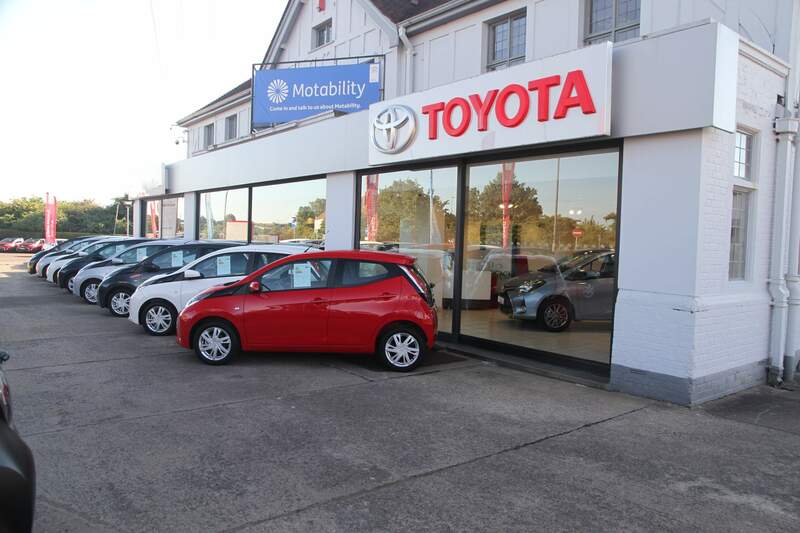 The compact AYGO is guaranteed to provide you with an enjoyable driving experience. It offers numerous technology and safety features to help keep you safe and connected on the road. During our Cost Price Event, you really can pay what we pay, with ’19 reg models available at cost price^^ plus an extra £500 towards your part-exchange†. It’s an event not to be missed, as these phenomenal savings will only be available until the 24th March, so book your appointment now to take advantage before it's too late. Motorline Toyota is delighted to announce that one of our lucky customers has won our national competition to win £5,000. Tamzin Storey, a district nurse from Holt, has driven away with a cheque after being entered into our prize draw when she took an approved used Toyota Yaris for a test drive at the Bristol North showroom back in the summer. Read more about DASH, CAMERA, ACTION! Drive Efficiently in 2019 With The New Camry. We’re excited to announce that we have four powerful new models coming in 2019, including the Camry. Combine the elegance of a saloon with the performance of a Hybrid, and you’ll have the new Toyota Camry Hybrid. Enjoy a peaceful drive in the Camry with its all-new 2.5-litre engine that has impressive power, providing you with the optimum driving experience. 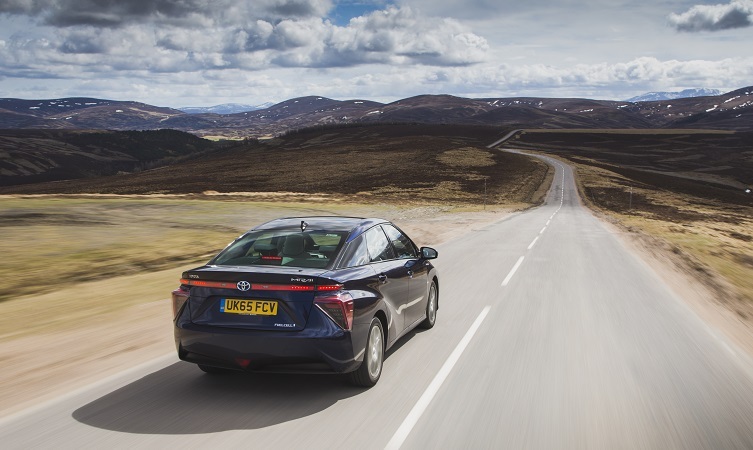 Read more about Drive Efficiently in 2019 With The New Camry. Say “Hello” To The New Corolla in 2019. We’re excited to announce that we have four powerful new models coming in 2019, including the Corolla. 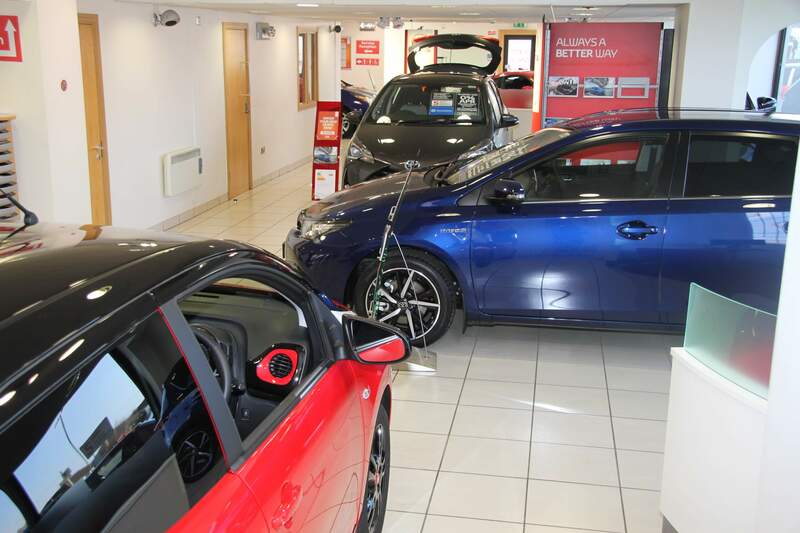 Say “Goodbye” to the Auris and “Hello” to the Corolla. We’re marking the start of a new era for the Auris, as we give it a new and improved name to reflect our 2019 model. You’ll be impressed with the Corolla’s Hybrid drive no matter what grade you choose. Read more about Say “Hello” To The New Corolla in 2019. The Supra Makes a Comeback After 12 Years. We’re excited to announce that we have four powerful new models coming in 2019, including the Supra. The stunning Toyota Supra is back after 12 years, and it’s more powerful than ever with a new front-engine and rear-wheel drive, providing you with an unbeatable driving experience. The Supra is focused on being able to feel power, balance and control the moment you get behind the wheel of the car. Read more about The Supra Makes a Comeback After 12 Years. The New RAV4 Coming in 2019. We’re excited to announce that we have four powerful new models coming in 2019, including the RAV4. Get behind the wheel of a RAV4 SUV for a supremely quiet, comfortable and efficient driving experience powered by electricity. The RAV4 has entered a new era of capability, with a new 2.5-litre Dynamic Force petrol engine and a unique self-charging ability to prepare you for wherever the road takes you. Read more about The New RAV4 Coming in 2019.